Google officially launched the next most awaited version of its mobile operating system 'Android'. 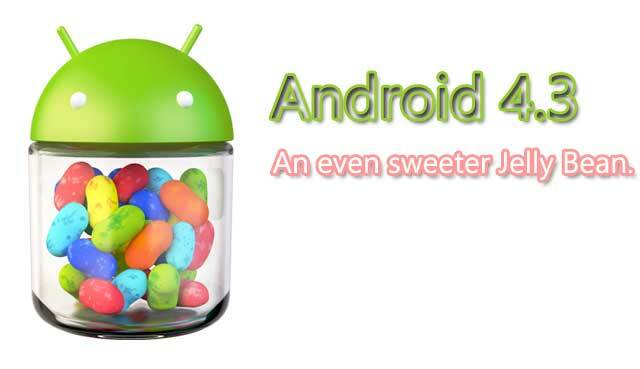 In San Francisco, at an event, Google launched Android 4.3 Jelly Bean for smartphones and tablets. On the day of its launch, it is only supported on three Nexus devices which are Nexus 10 Tablet (Tablet having 10 inches screen), Nexus 7 Tablet and Nexus 4 Smartphone. Android 4.3 will come pre-installed in all Nexus Devices which are ordered after the launch of Android 4.3. However, the old users of Nexus devices can also upgrade their Tablets or Mobile phones to latest and greatest version of Android. After the launch of Jelly Bean 4.1 followed by 4.2, it is the most awaited update came from Google. Actually, there were some rumors that Google will launch its next version as Android 5.0 Key Lime and this version will come to Samsung Galaxy S5. But now, Google made these all assumptions wrong by launching the Android 4.3. It is branded as same name of its previous version i.e. 'Jelly Bean'. There are many new features in this latest version of android. Here, we are sharing some main features of Android 4.3. 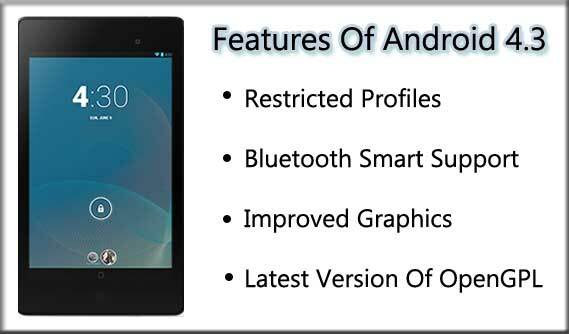 A List Of Features Of Android 4.3 is given below at a glance. Restricted Profiles: Google introduced the new feature of restricted profiles with which you can restrict the usage of some specific applications on specific accounts. 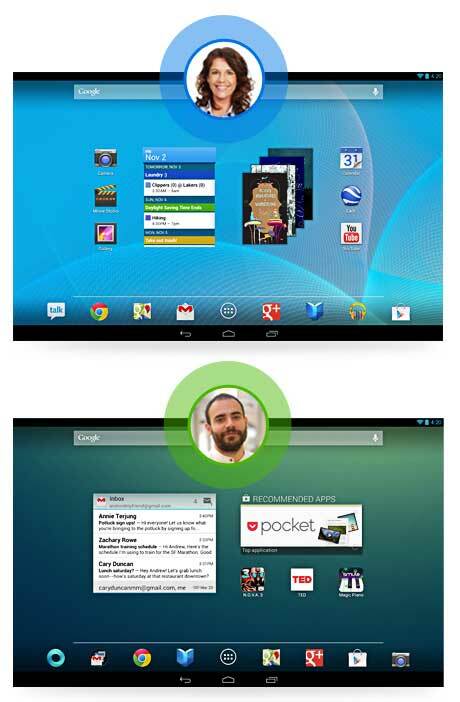 Android 4.2 Jelly Bean Introduced the feature of having multiple user accounts on same tablet. This Restricted Profile Feature is just an enhancement of that old feature. In Jelly Bean 4.2, you can create multiple accounts on same tablet that won't give you much control over other user accounts, while in Android 4.3, you can control the use of applications on various user accounts. A master or administrator account will have all the privileges. This feature can be very beneficial for parents in restricting the wrong use of tablet by their kids and for companies to focus employees on work. Bluetooth Smart Support: Android 4.3 comes with Bluetooth Smart Support which enables to use Bluetooth while consuming very low power. This will help in saving energy and ultimately increasing battery life. Android OS devices will be capable of Bluetooth Smart-enabled intelligent watches, receptors, health watches, fitness trackers, running machine and extra. Wireless Display: Flow films, YouTube video clips, and anything that is on your Tablet or Smartphone screen to an HDTV. Some Android operating system tablets and mobile phones, such as Nexus 4 and Nexus 10, support this Wireless Display feature. You'll need a TV that facilitates Miracast™. Screensavers - Day Dream: This feature comes to Android 4.3 known as Daydream. With this, you can show off your favorite picture or a set of pictures on your Tablet screen like a screen saver. Tablet will start showing your chosen photos when in idle state. New Notifications: As Apple came up with a change in notifications with iOS 7, By copying the style of Android notifications. Google gone even more further. Now, in Android 4.3, the notifications become Actionable. You can take action of any notification instantly. It is great enhancement of old notification bar. High-End Graphics: Now gaming will be even more fun and realistic than ever before. The latest Android Version includes latest version of OpenGL that is OpenGL ES3.0 which gives your tablet 3D realistic, high performance so you can have a much better experience on your tablet and smartphone. Some Other Features Include: Support to new languages such as Africaans, Amharic (አማርኛ), Hindi (हिंदी), Swahili (Kiswahili), and Zulu (IsiZulu). The enhancement in input methods such as Easier text input - an superior algorithm for tap-typing identification helps make text input simpler. At this time, Android 4.3 is only supported by Nexus Devices which includes Nexus 10 Tablet, Nexus 7 Tablet and Nexus 4 Mobile Phone. Other devices will also supported soon. The users of Nexus devices can update their Tablets and Smartphones to latest Android 4.3. While the users of other Android Phones should wait. The HTC One and Samsung S4 will be getting this update shortly. Those are the features of latest Android 4.3. Let us know what you think about them and how they gonna affect your phone or tablet use? We are waiting for your comments.